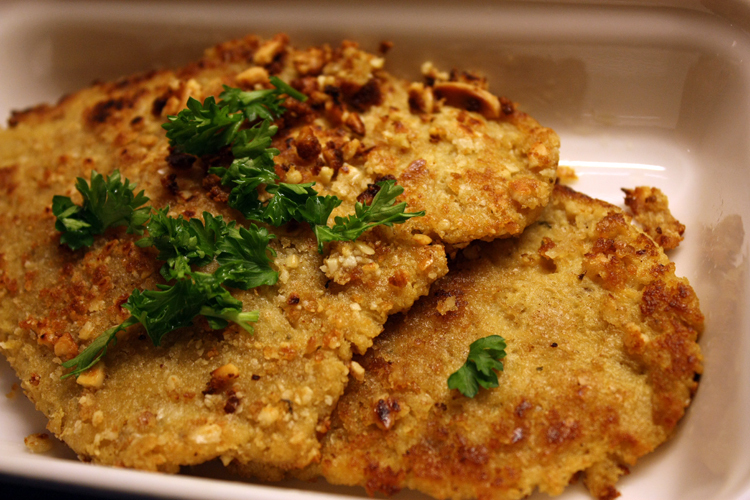 And now on to the recipe for this delicious seitan cutlets! Until now, I was not a big seitan fan, as it mostly turned out spongy, which I don't like at all. On the other side, I've made some tasty seitan sausages, and those turned out really wonderful! Mix all dry ingredients, until well combined. Puree the tofu with 25 ml water, until smooth. Add as much water to get 200 ml. Whisk in 2/3 Tbsp. oil. As it didn't quite work mixing the dough with my kitchen machine, I recommend using it to mix the dry and wet ingredients, but then doing the kneading by hand. This worked well for me. So knead the dough for as long as you can ;). Until the dough seems well combined and stretchable. Prepare your broth, by combining all ingredients in a big pan. 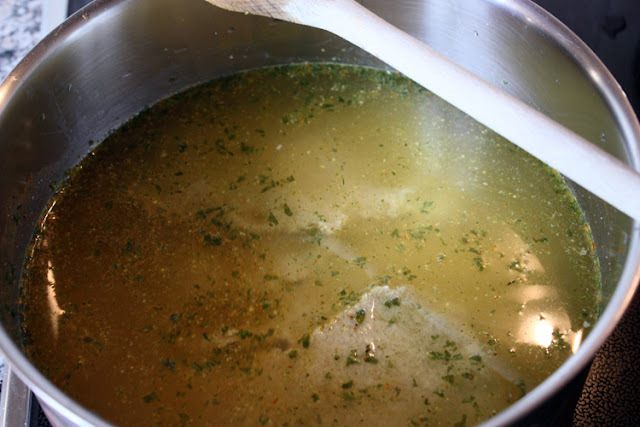 Don't forget, you can still add more veggie broth, when all cutlets are in the pan, so pour in too much at the beginning. Don't heat up yet! Now break the dough into 12 equally sized pieces. And here it comes: take your rolling pin and roll out each piece as thin as possible and place in the cold broth. If necessary, add more veggie broth, so that all pieces are just covered. Let stand for 10 minutes. Now turn on the heat, cover and bring to a fast simmer. Then reduce the heat and cook for 1 hour. If possible, try to rotate some of the cutlets at the top, so they cook through evenly. Take the pan off the heat and let cool, for about 1 hour or so. Now you can remove your cutles and prepare them as you like. I simply coated 2 of them with chopped almonds and roasted for about 10 minuted. They turned out delicious & tender. The rest I layered in an airtight container between sheets of parchment paper, as suggested! They look perfect and delicous! 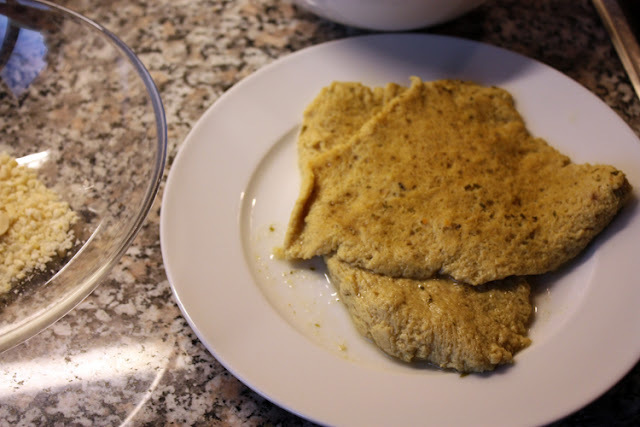 Wow, those are probably the BEST cutlets I have seen! Great recipe. First time visiting your blog and I love it!